You're invited to attend a fantastic chamber concert featuring the world class SCMS musicians. You will enjoy Beethoven's effervescent Piano Quartet op 16, Béla Bartók's inventive, masterly Contrasts for Violin, Clarinet and Piano, Sz 111 (featuring pianist George Li, the 2015 Tchaikovsky Competition's second prize winner) and Mozart' s elegant Divertimento for String Trio in E-flat Major, K. 563. 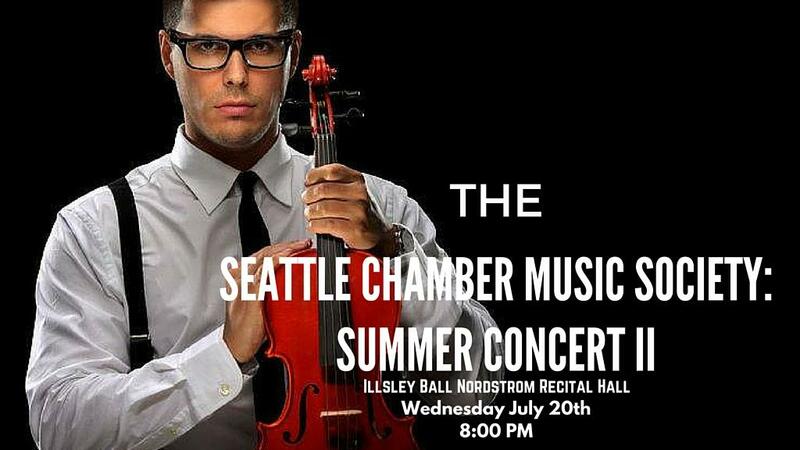 Konnectclub in partnership with Seattle Chamber Music society is offering 50% off tickets! Limited quantity. Consider buying your tickets ahead of time, sale ends early! Multiple tickets available. Looking forward to seeing you soon.